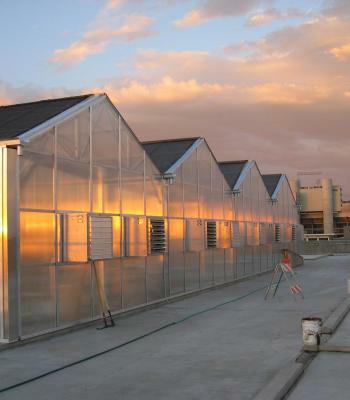 We currently have two greenhouses on campus. Both are located on the 6th floor of the 6th street garage. We use one greenhouse for the propagation and production of our houseplants, desert plants and tropical plants. Our other greenhouse is a showcase of the many capabilities of controlled environment agriculture. This greenhouse is designed to help us further our education goals, and is open to the public, free tours of this greenhouse can be arranged through email.